Hi guys, it’s really been awhile since we, (me, really) have updated our blog. 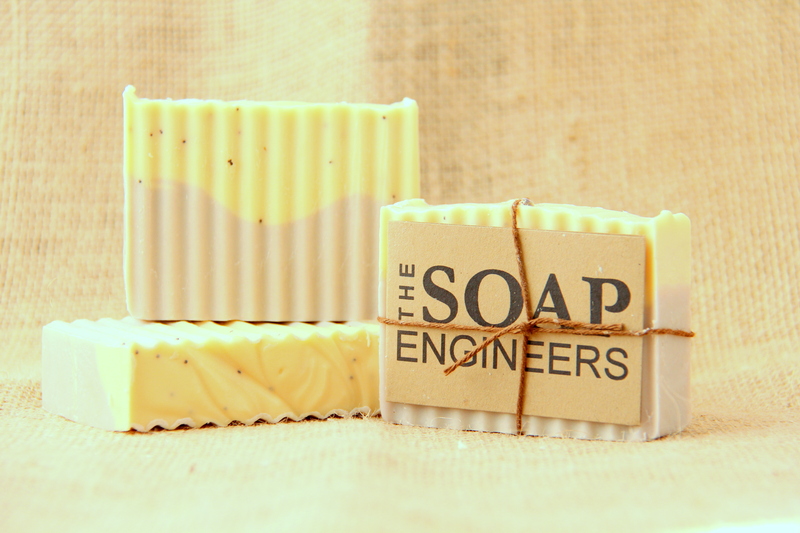 With all the demands for our soaps, the priority has always been making more soaps. Till date, we have made more than 1500 bars of soaps and we are still always running out. So, a couple of weeks ago, I made a “I REALLY NEED TO WRITE MY BLOG!!! !” commitment to myself. So I have! And starting from now on, I solemnly swear I will post one entry a week. Let’s start with our number one selling soap – Calming Lemongrass! 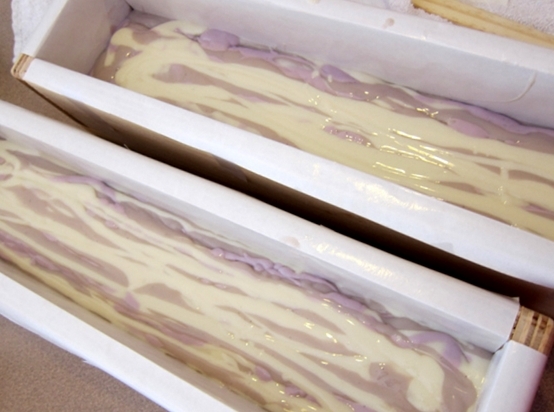 Up till Calming Lemongrass was born, Lavender Bliss was our #1 top selling soap. And whenever we happened to have lemongrass on hand, it sells extremely well too. Brooke thought, “Hey, why not combine the two really nice scents together? Wonder what that smells like?” With that thought, she made her first Calming Lemongrass a couple of months back. One of the things that always surprised me in soap making is, when you combine two scents, it doesn’t just smell like scent A and scent B. The mix of multiple essential oils and fragrance oils always transform into something completely different. Something unique, something exciting, something deeper and sometimes completely unexpected. This is one of those deep mysterious scents. Everybody loves it, but no one ever got the scent right yet. They always go, “Ummmm! I love this smell!! I can smell this soap all day long! What is it? I smell something lemon-y, and flora?” The question mark tone at the end of the statement is always pronounced. Lemongrass and lavender essential oil, while both pungent, assertive oils on its own, when mixed together, the citrus-y lemongrass became the top notes while the floral-ness of lavender became the base notes. Lavender became a supporting cast for this soap, lending its flora, “herby” scent to the bright lemon-y scent of the lemongrass, creating a totally unique, calming and yet refreshing bar of soap. 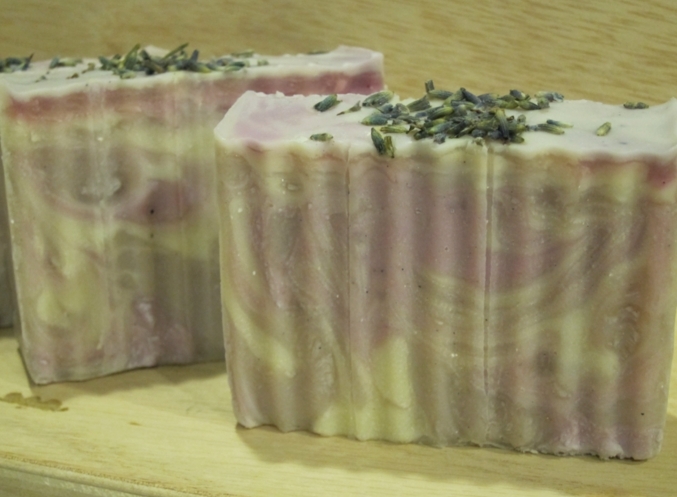 Brooke’s vision for this soap is an elegant design of purple base with a bright yellow top laced with poppy seeds for that mild scrubbing effect. She first made the first bar in her kitchen a couple of months ago, and the rest is history. Ever since we added Calming Lemongrass into our soap line-up, it quickly propelled into our top seller list. Initially, we always run out of stock, and we have people checking with us when new bars of Calming Lemongrass will be ready before deciding if they should go to the farmers market. #loveya! Nowadays, we make 4 loaves at once so there’ll be less chance of running out. For all the Calming Lemongrass fans out there, this is for you – the step by step showing how we made our Calming Lemongrass. 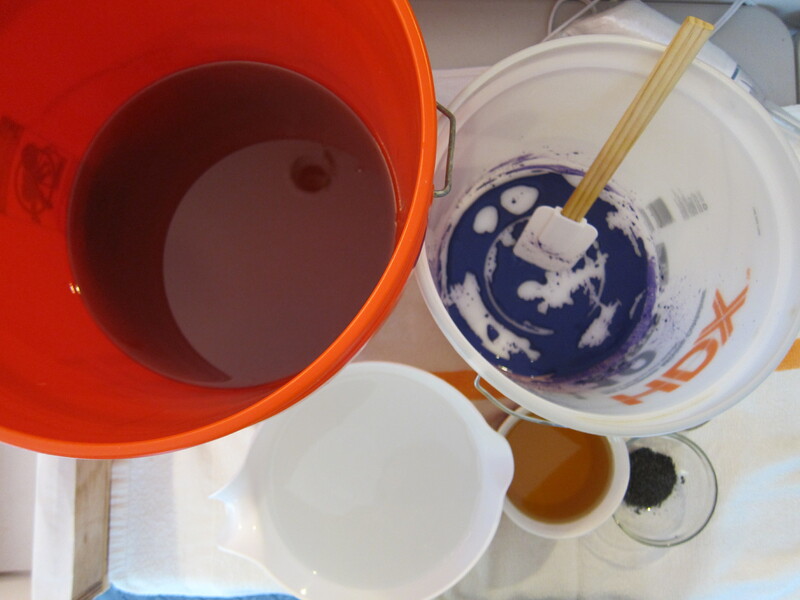 Gathering all my supplies – the purple in the white pail is simply purple oxide pre-mixed with a bit of water. That would be my purple base later. Adding in TiO2 in my lye solution. Learned very early on that if i blend TiO2 into the oils, i get streaks of white in my soaps. But, by simply blending TiO2 into the hot lye solution, i get a creamy white solution with no streaks of white in my finished product. I figured this is because TiO2 is more soluble in water than in oil. Adding lye solution into my base oils. Stick blending the lye and oils. See how the oils turned from transparent to a creamy white base? 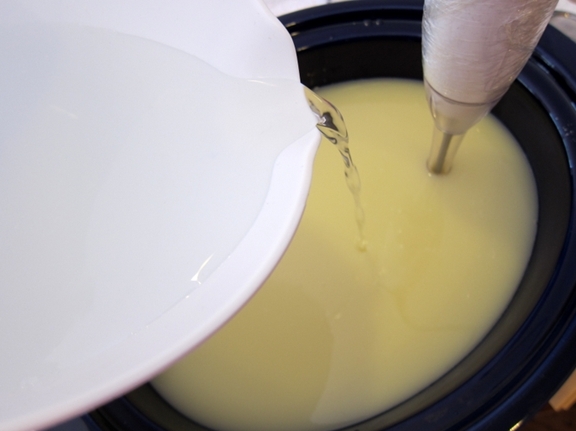 That’s the beginning of the magic of turning oil into soap! 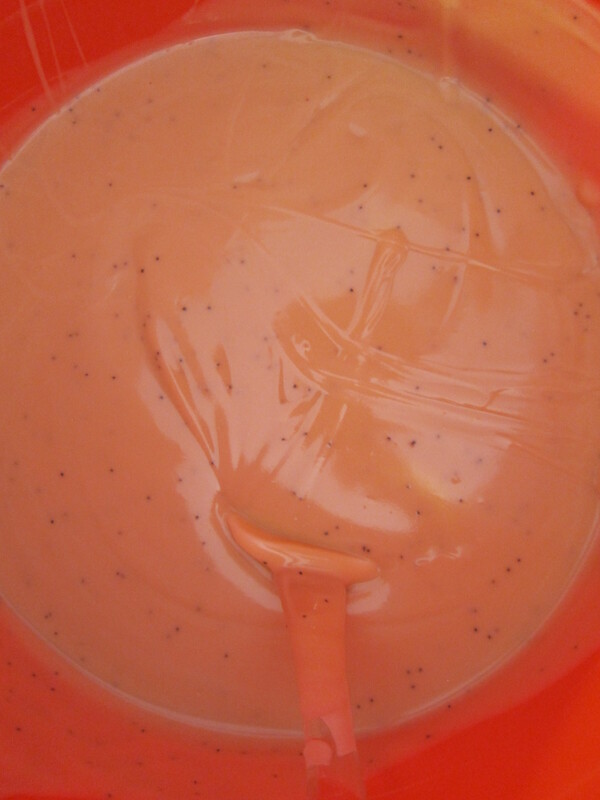 Once traced, it’s time to divide 2/3 of the soap base into the white pail with purple oxide. Mix well and that would form my purple base. Because soap making is essentially a chemical reaction, there is a very small window of time to get things absolutely perfect. 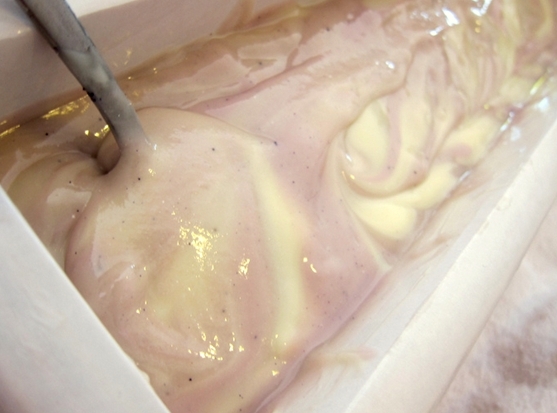 I wanted to use the drop soap technique, (which simply means pouring the yellow soap into the purple soap from a great height, and that gives the yellow soap enough potential energy to go into the purple layer, creating a rounded, random effect). In order to create the effect i want, i need the base to be thin and fluid, and that means i need to work fast and execute everything before the chemical reaction kicks in fully. Actually, all the above verbiage really means that I am too busy to take step by step photos. *bashful grin*. But you get the picture. So, purple base first, then yellow from great height, and lastly, I took a chopstick and run it diagonally across the top of the soap (I didn’t take that picture either) and a quick spritz with alcohol stops soda ash from forming at the surface of the top. Following the launch of our Etsy Store and also the very successful Vendor Splendor Blender, our inventory has diminished to almost nothing. With the impending Reston Farmer’s Market starting in May, both Brooke and I were ramping our soap production and we are building up a sizable inventory again. 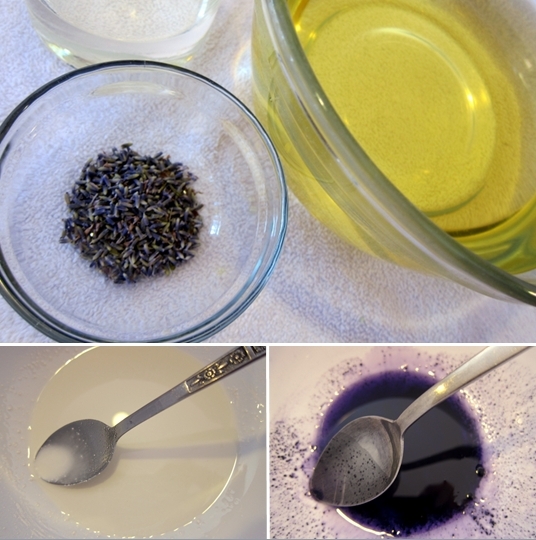 Some of you asked how do we make soaps, so as I was making my Lavender Bliss today, I decided to take step by step photos of how I made my soaps and share that with you guys. Biting nails while waiting to see if your design translates to real life. 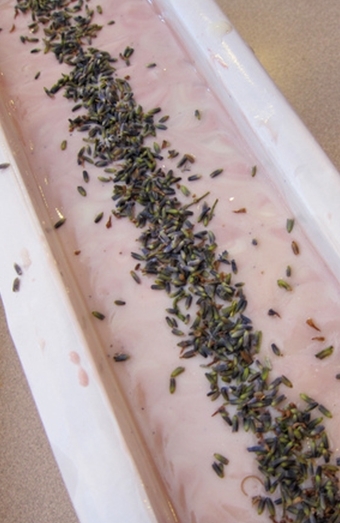 I want to make a all-natural lavender soap. In the spirit of Spring, I wanted a more pastel color scheme, and I’ve decided on – White, Pale Purple and Dark Pastel Purple. 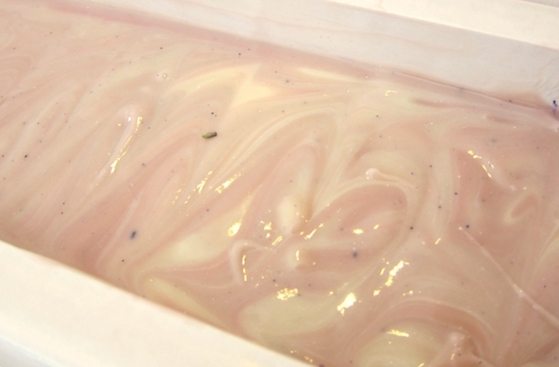 As I wanted pastel colors, I would need to make my soap base white to achieve pastel colors. Design wise, I wanted them to swirl together and because of this design criteria, my soap batter needs to stay liquid and thin. And that means that I need to soap cold instead of soap hot. Ok. Planning done. 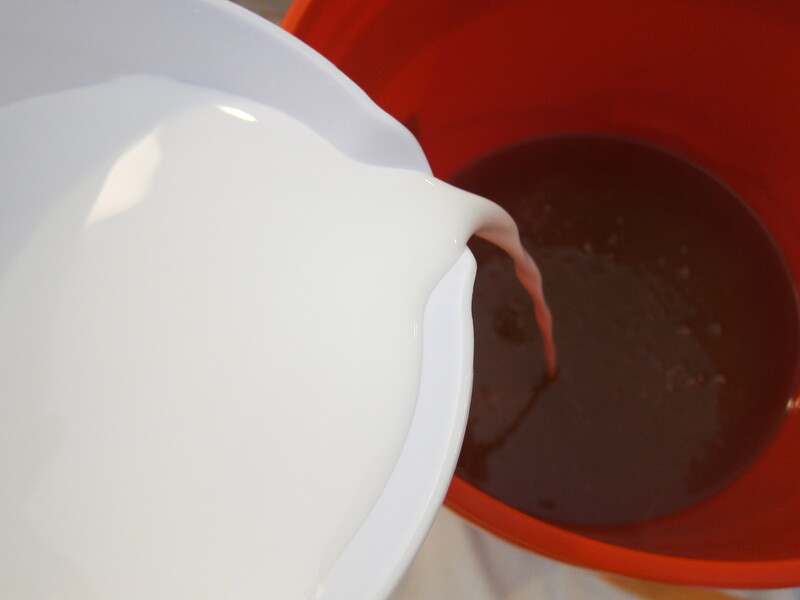 To form the lye solution, carefully dissolved Lye INTO water (not the other way round), wait for it to cool down and then gently add the lye solution into the base oil. Cooling down is essential because I wanted to soap cold and I also added a touch of titanium dioxide to our soap base to form a whiter base for our pastel color. See, planning phase is super important. Once lye solution is added into the oils, mixture was stick blended till it forms a thin trace. A thin trace is super important because I will be employing a pouring method later. Medium or thick trace will make it un-pourable, and will completely ruin what I have in mind. 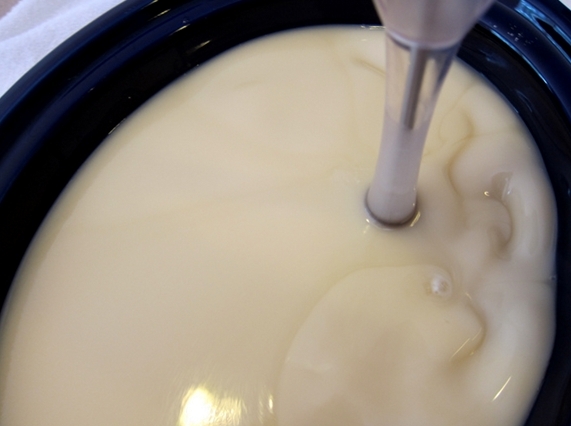 As I blend, the oil turned from a golden liquid to this white, opaque mixture. This white base is the perfect canvas for forming beautiful pastel colors. Once a thin trace is formed, lavender essential oil and bentonite clay is then added in for relaxing scent of lavender, and that gentle, clarifying property of bentonite clay. This is the tricky part – I need to make sure I blend everything in well while still maintaining a thin trace and this came from experience. The first few soaps I made, I had everything planned out. 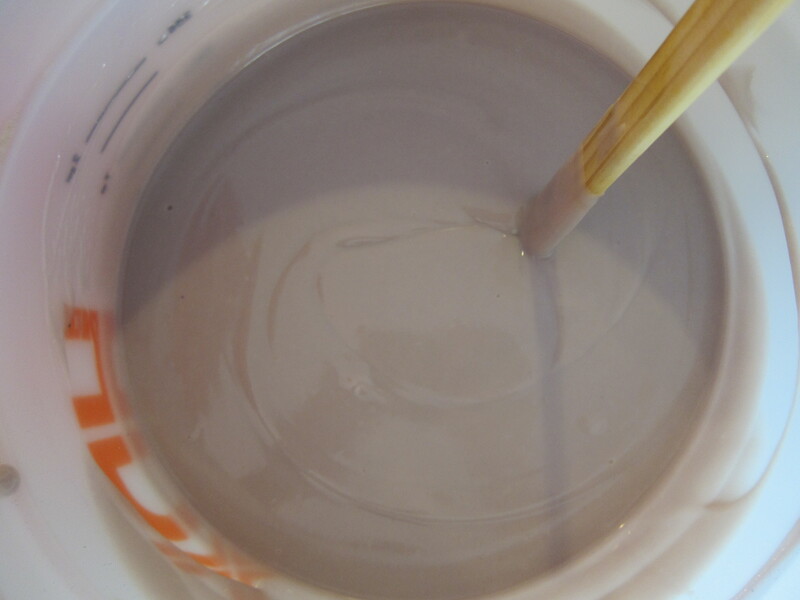 Then I promptly blended a couple more extra seconds. In these couple of seconds, the soap batter turned from this gorgeous thin liquid-y trace to a thick apple sauce like medium trace resulting in a change of plans, and a very upset Janette. To form the design, I simply poured in one soap batter down the center the soap mold. Then I repeat, alternating the colors. 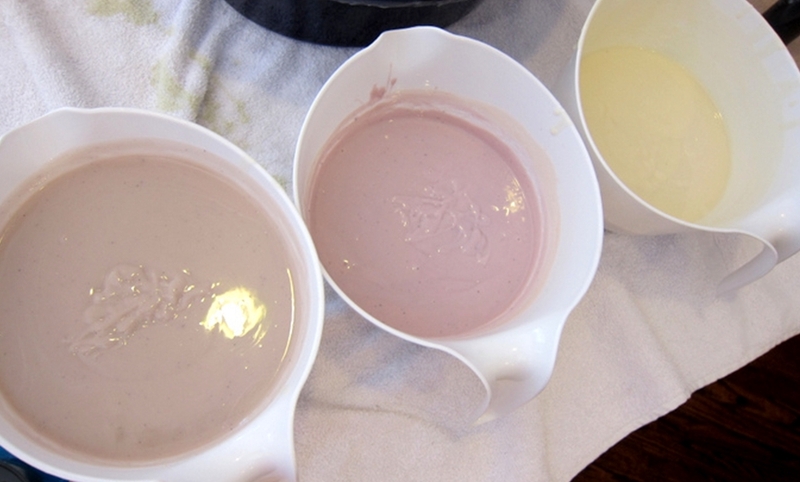 As each color gets poured in, it pushes the previous soap batter outwards, towards the edge of the mold. With multiple layers poured down the center, all these layers will form these beautiful waves of alternating colors as you cut it vertically. It’s pretty simple, I took a spoon, bring it all the way down to the bottom, and then slowly pull the spoon up, rotating it as I bring it up to the surface. As it rotates, the colors should start to swirl together. At least that’s what I hope. Once the layers are done, it’s time to pretty up the surface by simply running a chopstick across the surface to creating all these beautiful swirls. Then it’s down to adding lavender buds down the center of the soap as a final touch. I always like doing that because I find that it adds a whimsical look to this soap and that burst of lavender scent when you smell it is worth all the effort. Because I started this batch cold, in an effort to slow down the saponification process so as to maintain a thin trace, I know that if I don’t insulate this soap, I will only be able to achieve partial gel phase. 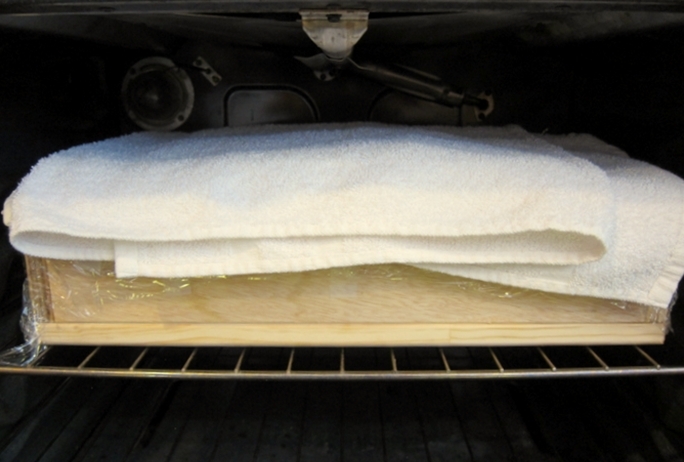 I wanted the entire bar of soap to go through gel phase, so I had to wrap the soap in cling-wrap, place it in my oven, throw on a couple of towels at the top to keep in the heat generated during saponification process. Again, I am hoping this is enough to get it through complete gel phase. But again, until I cut it, I can only hope for the best. Least favorite part of soap making – Cleaning up. I am still imagining my perfect soap lab, cabinets and shelves everywhere, a fume cupboard for that dreaded lye fumes and a dedicated dishwasher. Hand washing can be a *itch. Try hand washing with a giant glove and trying not to get raw soap batter all over your hands cnd be a complete nightmare! A dedicated dishwasher would be very nice. But there’s a silver lining in every wash which leads us to: Favorite part of cleaning up – To facilitate cleaning, I’ve developed a habit of scraping down all excess soap batters before washing up. I figured that it’s easier to wash without all these excess soap sticking to the bowls. And typically, these “production wastages” forms anywhere from ¾ to 1 full bar of oval soap and I’m always extremely happy to know that I will be able to have my own personal bar without having to answer to Andrew (our CFO) on why I had to take another soap from our inventory again :p Win-win! After waiting for a full 24 hours, even though the soap is slightly soft, it still looks beautiful when cut. I can see the purple and cream swirls. There are also grey patches from bentonite clay that precipitated out, and I’m happy to see that the entire soap was fully gelled. All in all, pretty close to what I had in mind, and that, to me, is a job well done! Now, it’s time to kick back and wait for this to cure for 6 weeks. In the meantime, I should probably start planning another soap. No matter how easy, how tempting it is to just grab recipes off the internet; we have decided right in the beginning that we will never copy other people’s hard work. Instead, we have always challenged ourselves to build the recipe from scratch. There are a number of ways that we can formulate recipes from scratch. And our favorite go to method is DOE. So, what exactly is Design of Experiment? In short, it is simply a modeling tool, which, when users define certain factors, it automatically generates various scenarios, and then data collection can commence, and a final analysis is then applied to understand the relationship of each factor with respect to end result. How it works is really simple. It all starts with a vision. With this vision in mind, we then ask a question that, if answered, will lead us down the path as to how we can achieve our vision. Then we identify what could potentially affect answers to our question. These are known as factors. Then we look at what we could measure if we vary the factors so that it will lead us back to the vision we have. These are known as responses. 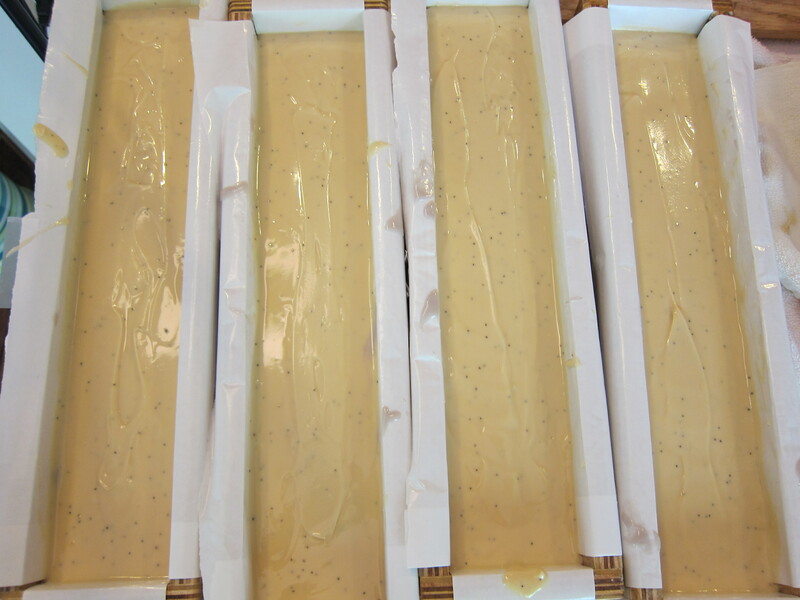 Vision: We want to create a bar that is: Super moisturizing, lathers well, and physically hard. In that order. Questions: With the bunch of different oils/fats that we have in our inventory, what, and how, are they contributing to our desired vision. And also, what is the optimum ratio between each oils/fat that allows us to achieve our vision above? Factors: Different oils/fats we have in our inventory, and the typical ratio they are used in soap recipes. Responses: Hardness index, conditioning index, cleansing index, bubbly index and creaminess index. With those in mind, here’s how we do a DOE. 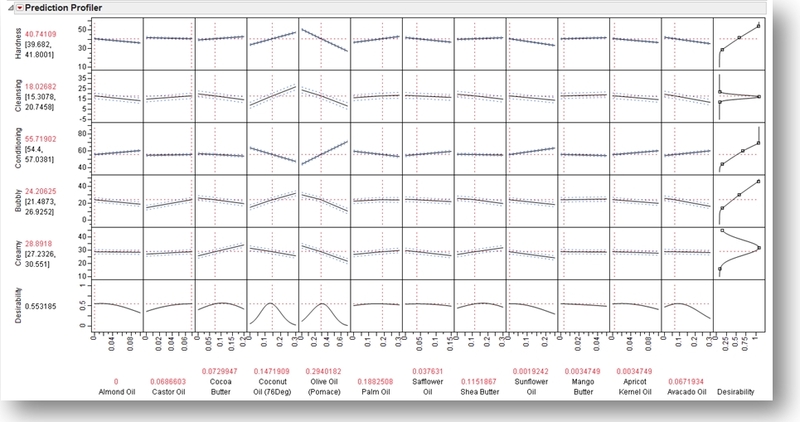 We have a go to software – JMP, which is a beast when powering through modeling like these. If you have JMP installed, you may also be able to simulate your own data set using your own inventory. Link to how to use JMP. These are the oils in our current inventory. Min and max% is derived from research via multiple books and online knowledge. This is how the factors are being represented in JMP. As each oil/fat represents a % of a recipe, the Role is set to “Mixture” and the max. and min. can be anything between 0 to 1 (0% to 100%). Responses are the hard part. It was relatively easy to define factors, but how could we effectively and consistently measure an output? We thought long and hard. Human testing can be inconsistent and contribute way too many variability due to factors like different skin type, personal preference etc. So, to ensure consistent measurement, we turned to a nifty little soap app called Soap Calc. 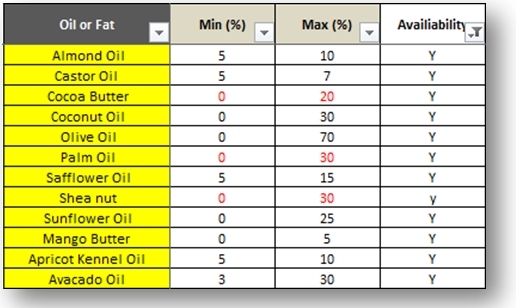 Based on the oils/fats, it will be able to compute each response index based on the amount of each type of fatty acids present in each oil/fat. And results will be consistent. To return the optimum ratio per recipe, we have to define what we want to see, and that’s where our vision comes in. 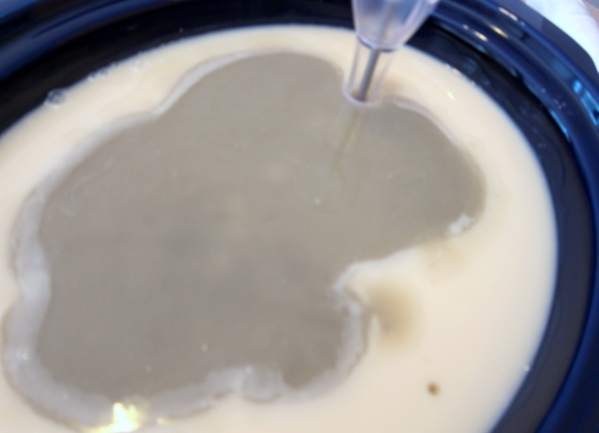 Of course, the final result does not fully represent a human’s feel of the resulting soap, but it gives us a pretty good idea on formulating a couple of good test recipes. This shows how the responses are being entered in JMP. And now the fun part begins. Once we entered our factors and responses, with the goal of what we want to achieve, JMP automatically spits out a Design Matrix. This table represents multiple scenarios that JMP wants you to run and to measure the responses. Because I ran a 12 way factor mix, 78 scenarios are necessary for the program to decouple any linear relationships between each oil/fat. 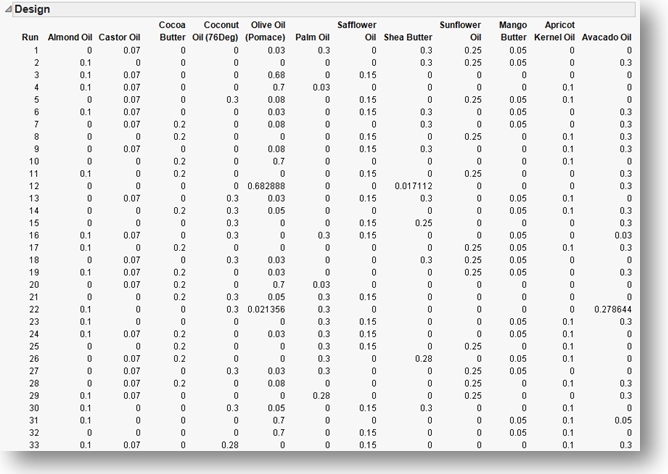 Based on this matrix, I keyed in the various % of oils/fats as defined by the matrix into the Soap Calc and manually punched in resulting Hardness, cleansing, conditioning, creaminess, bubbly results. And the magical moment is when we hit “analyze”. This is the final table displayed by JMP. Y axis – Various responses and its corresponding value with respect to ratio of each factor. X axis – Various factors and its corresponding percentage in a soap recipe. What we are looking out for is the slope of each line. The slope of each line tells us how much each oils contribute to each response. The steeper the slope, the more impact the ratio of the oil plays for each response. Mango butter seems to have very little impact to any of our responses. You can tell by the extremely flat slope for all responses. So we have since relegated our 8 pounds of mango butter to other things. Or we may use this as a superfattng agent for hot process soaps. Or use it in bath truffles etc. Generally the trend across all data set is that – if a oil has a positive slope for conditioning, it will have a negative slope for cleansing, hardness and bubbliness. Avocado and olive oil, while extremely conditioning has the high adverse impact to hardness and cleansing and lathering properties as compared to any other oils here. Olive more so that avocado. Because our vision is to primarily create a bar of moisturizing soap, avocado and olive oils will definitely need to be in our recipe. To account for the lack of hardness, we are now on the lookout for oils/fats that has a high positive slope for hardness/bubbliness. Coconut oil has good lathering/hardness properties, but extreme amount adversely affects the moisturizing properties of the soap. But it accounts for hardness more than other oils/fats. So coconut oil is a must in our recipes, the question will be how much. Also, because our primary analysis is that to bump our moisturizing factors, almost all oils seem to have an adverse impact towards bubbly (lather). The only oil that bumps up lather (bubbly) which having a relatively flat slope for conditioning is castor oil. So our final recipe was tweaked to include a fair bit more of castor oil than normal recommended amounts. The analysis goes on and on… but you guys get the general idea. Notice the last row “Desirability”? That is the direct result of us telling JMP based on what we want to maximize. Ours was to maximize conditioning, hardness, and bubbly. The higher the desirability, more desirable the outcome is with respect to our vision. So playing around with the ratios, and observing how our desirability index changes with each ratio, we can effectively narrow down our recipes to a few combinations. Now that we have a couple of recipes which theoretically supports our vision, the very next, and final step is to actually create test bars, and test it on actual humans. Ultimately, no matter how wonderful and perfect a recipe seems to be on paper, a human has to be the final judge. To that, we also had a relatively scientific way of minimizing variability. And that is to test one recipe on each hand simultaneously, and then do a direct comparison. Example: We have four test bars. Bar A, B, C and D.
I will use Bar A on my left hand, and then Bar B on my right hand. Do not use lotion after test is complete. Compare one hour later and decide which is better. Say Bar B is better. The next day, I will use Bar B on my left, and Bar C on my right, compare an hour later and determine the better bar. Say Bar B is still better, the next day, I will use Bar B on my left hand, and then Bar D on my right. Now, if I feel Bar D is better than Bar B, then because Bar B is better than Bar A and C, it stands to reason that Bar D is also better than Bar A and C.
By process of direct comparison and elimination, we will be able to select the best recipe that passed the test of human selection. Repeat this experiment with multiple people, and then get the final answer. Note: We always wait at least a day between each experiment so as not to strip our natural oils by repeatedly soaping our hands. Formulated for dry skin – moisturizing factor is king, so we forsake lather and harness in favor of conditioning. It is super moisturizing, but it doesn’t lather as well. It is also slightly soft. But it’s great for dry skin. I can personally vouch for this. Formulated for oily skin – This soap has more lather, but the conditioning factor is still maintained at > 53 (On the high side of the range). 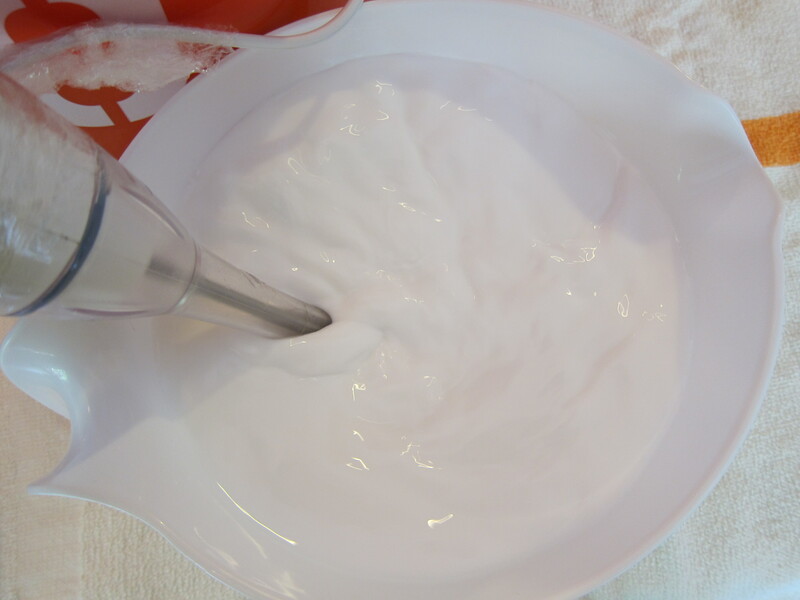 To negate the slightly drying factor of this recipe, all of these are made with milk and so far, it has shown great success with oilier skin. And in preparation for humid summer, we have formulated a third recipe that we are extremely pleased with. That recipe is being used in production batch right now, just in time for summer. 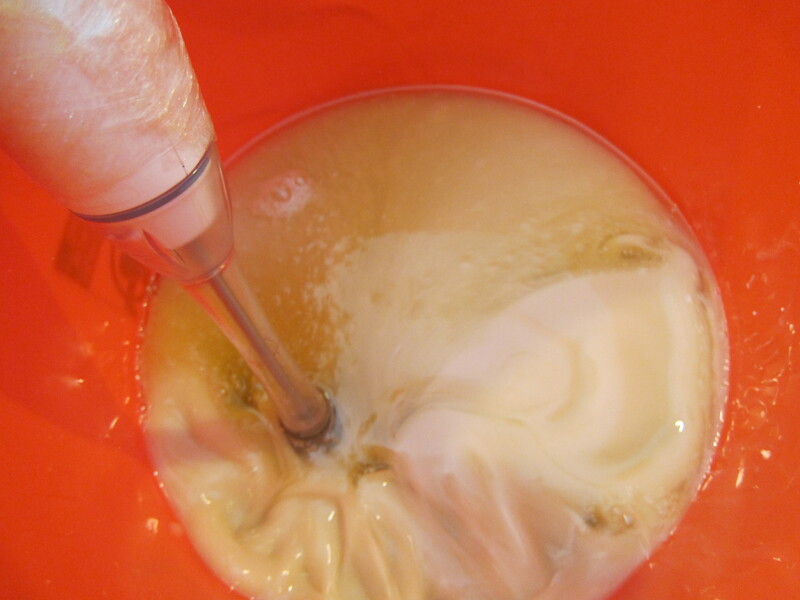 And there you have it, how The Soap Engineers formulate, develop and test our soap recipes. Janette, Brooke and Puja has three completely different brain profiles but randomly, we share the same love for wine, good food, soap making and all things nice and sparkly. This is a blog on our journey as we explore the new world of making beauty products via the engineering way. Support us by liking us! Thanks for following us. Just enter your email address and you will receive notifications of new posts by email.